Cats are probably the most misunderstood of all domestic animals. This workshop is full of photos and video to demonstrate cats unintentional and intentional nonverbal communication signals. 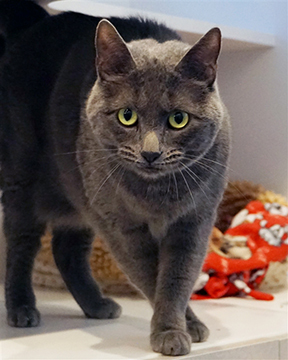 Learning these signals will help you and your feline companion communicate better with each other. Facilitated by a professional Hospice by the Bay grief counselor, this support group will allow you to connect with others who have experienced the loss of a loved animal. The grief we experience when we lose an animal companion is unique and if you have experienced a similar loss, come share your grief and learn skills to help you on your journey toward healing. Registration is not required. For additional information, please contact Hospice by the Bay at 415-526-5699, email griefsupport@hbtb.org, or view the flyer here. 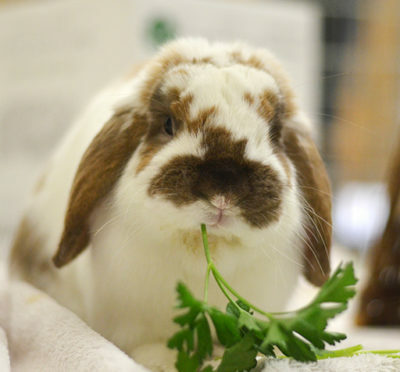 Join us at Kitty Corner in the Red Hill Shopping Center in San Anselmo for “Hoppy Hour” and meet some of our wonderful rabbits (and maybe guinea pigs) available for adoption. Hoppy Hour is a great opportunity to find out if a rabbit would be a good fit for your family. Learn what rabbits need to live a long and healthy life, what type of housing is best for them, what kind toys they like, and much more. Our animal-lovin’ crew will be on hand to answer all of your bunny questions, so hope on over… you might just find the perfect “bun” to adopt. People only, please – no pets allowed. No kitty adoptions during this event. Give your dogs (and family) a rockin’ day to remember at WOOFSTOCK 2019! Grab your leash, furry friends, and family to join us for the Bay Area’s grooviest dog (and animal) lover’s event! Enjoy music by the premier Eagles cover band, the Illeagles, who have taken the Bay Area by storm, along with food, beer, and wine. The ever-popular Kid’s Zone will be back with awesome activities for kids of all ages. Explore the event booths featuring local merchants! 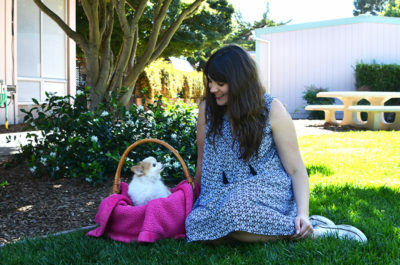 All proceeds benefit the animals at Marin Humane. Cost: Adults $40, Kids (12 & under) $20, Tiny Tots (5 & under) free. Includes vegetarian or vegan meal. Bring your own water bottle! Get $5 off ticket prices with code WOOF5! Did you know every trail in Marin County allows horses? Will you know what to do to keep you and your dog safe? 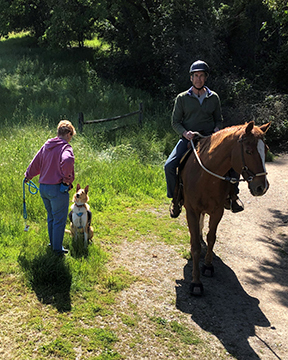 With the generous help of the volunteers and equine residents of Marin Stables in Fairfax, we are offering a hands-on workshop to help make encounters less stressful for you, your dog, the horse, and the rider. Meet horses and acquire tools to ensure trail safety for all. 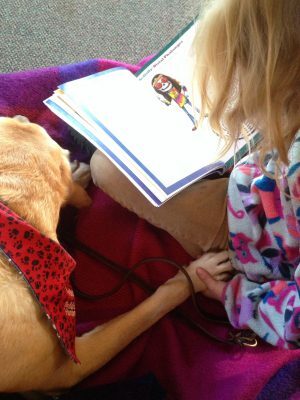 Open to eight dog-friendly dogs who have completed Family Dog 1. Cost $65. Pre-registration is required.